Good hospitality awaits. All photos by Lindsey Hook / Hook'd On a Bite. When random chance, courtesy, and chemistry line up, beautiful things happen. 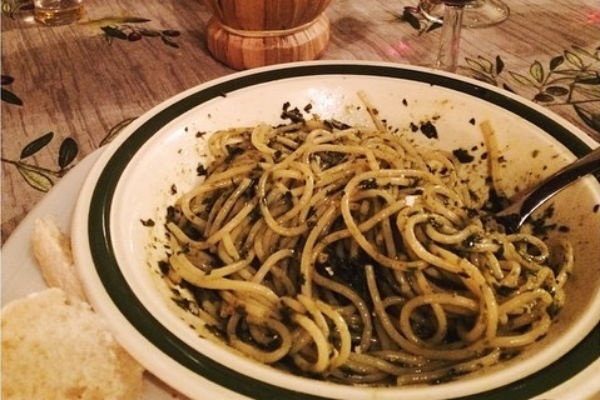 Lindsey Hook, business student and foodie behind Hook'd On a Bite, flew to Florence to study abroad and experience Italian hospitality first hand. Surprised and still greatful, she recounts the story of a dinner invitation from online friend-turned-personal-acquaintance. A reader story. 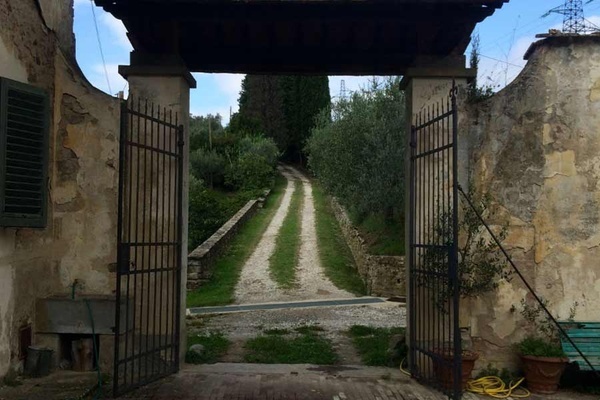 TUSCANY, Italy – I met Nico on Facebook. We chatted online and became friendly, but the first time I met him in person was over aperitivi along the Arno in Florence. I was studying abroad in Italy. He lived in Milan but was visiting family in Firenze. He met me with his sister Alexandra and we all hit it off so quickly that they invited me to dinner at their family's home in nearby Fiesole. 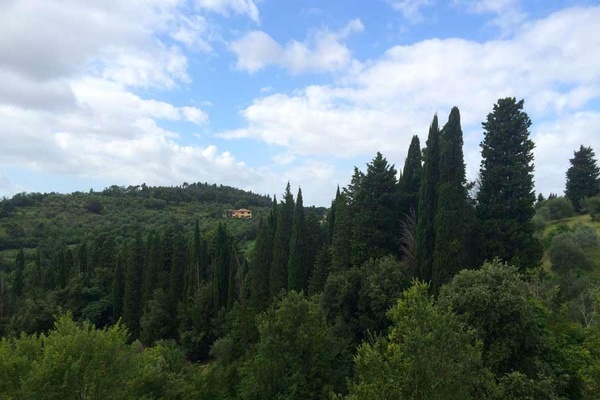 We left Florence and drove up rolling hills and through breathtaking countryside. The views became more beautiful the farther we climbed. Large fields of green spotted with olive and cyprus trees framed white stucco houses with red roofs. My jaw was on the floor for the entire car ride. We turned onto a long driveway covered in white gravel and bordered by lush green trees on both sides. After a few hundred feet, we passed through a grand metal gate. That was just the beginning. This was no house. In fact, the word "house" doesn't even apply. It was a grand ancient villa surrounded by young olive trees and perfectly manicured gardens. It was everything you see in the movies — but better. I entered through a solid wood door and was given the grand tour. 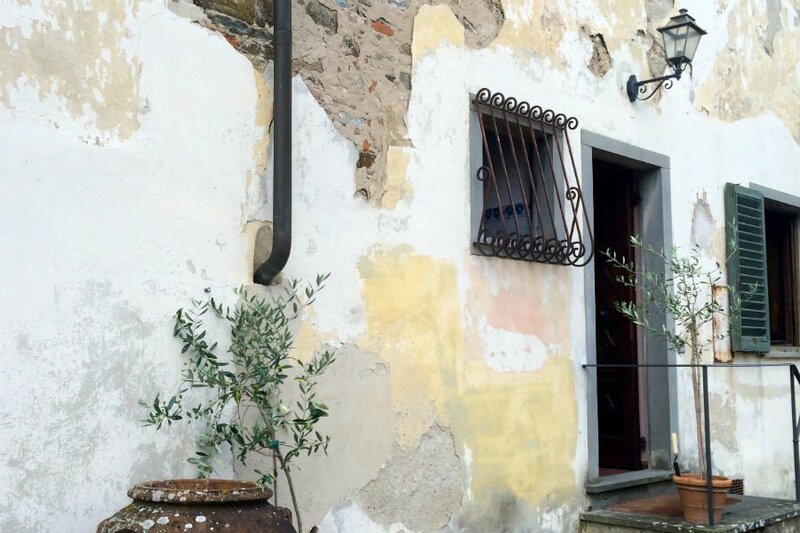 The villa was once the hunting house of the legendary Medici family and has been in Nico's family for generations. It still has lofty ceilings and old, beautiful details in everything from tiles to textiles. The large sitting room was filled with eclectic sofas and the centerpiece, a beautiful stone fireplace, showcased the Medici crest carved into the mantel. We entered the kitchen, where the smell of warm basil and fresh bread filled the air. They offered me some garlicky focaccia, and I mustered up some courage and basic Italian to chat with the relatives. I met everyone from grandfathers to parents to cousins. It was so endearing to be so warmly welcomed into this family's home. Suddenly, a large bowl of pasta with pesto was placed in front of me. The garlic and parmesan were bold but balanced wonderfully with the oil and basil. (I thought about it for the whole week afterward). We finished dinner and moved into the sitting room for conversation, laughs, and more wine. That's the Italian way. I was even invited to stay the night. Impeccable hospitality — also the Italian way. 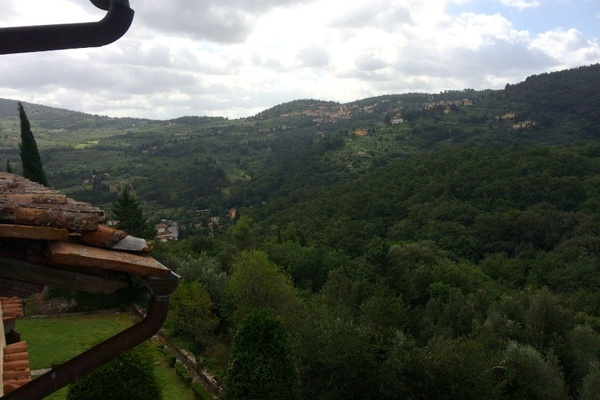 I woke up to the best view I've ever seen, and I have a generous Tuscan family to thank for it all. Lindsey is the avid food writer, eater, and ever-improving cook behind Hook'd On a Bite. Follow her around Florence, where she's currently studying abroad, on Instagram at @vintagelinds and @hookdonabite. She travels for the culture shock in all its uncomfortable glory.